With the weather warming up around Minnetonka, it’s time to start ensuring all of your favorite water toys are ready for the open water. If you have a wave runner that’s been damaged, feel free to reach out to Anchor Marine Repair today. 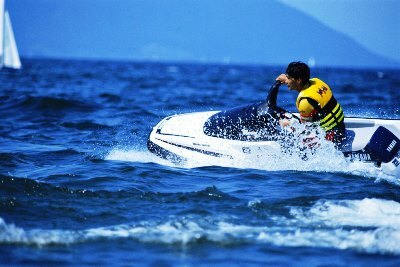 We have experienced boat mechanics that are well versed in all types of wave runner body damage repair. Regardless of the type of jet ski repair or body damage repair you need, our team at Anchor Marine Repair is up to the task. We all have decades of experience and are able to service all major brands including Honda, Kawasaki, Seadoo, Yamaha and Polaris. Each of these major brands is built quite a bit different, which makes it important to work with a team of mechanics that has experience working on all types of wave runners. Wave runner body damage can be quite extensive and if you’re looking to be out on the water when it warms up, it’s important to go ahead and give us a call as soon as possible. Our schedule is filling up as the weather starts to turn in and around Minnetonka. If you’re tired of storing your wave runner at your house, why not reach out to Anchor Marine Repair to handle all your wave runner storage. We have a state of the art covered and climate controlled storage facility that’s perfect for your wave runner. We can also schedule any maintenance and body damage repair for the off season so you’ll be ready to go when the weather warms up. At Anchor Marine Repair, we have 10,000 square feet of working space between our two large buildings. Our large facilities can accommodate wave runners of all sizes and our wave runner mechanics have the latest tools and equipment. Our consultations are completely free, so feel free to bring your wave runner by if you’re interested in any type of body damage repair. If you don’t have a way to get your wave runner to our facility, don’t fret! We’ll happily pickup your jet ski provided you live within 250 miles of our Delano, MN shop. This way you won’t have to worry with loading your wave runner on a trailer and getting to our facility. To schedule a consultation, feel free to give us a call today at 763-972-3540.